Do you like cats? This girl loves cats and all that is connected with them. And she is especially crazy about clothes in the style of cats. How to play: Click with the mouse on the buttons on the top to change the sections with decorations, hairstyles and clothing for this beauty. Do not forget to choose a beautiful tail and ears. 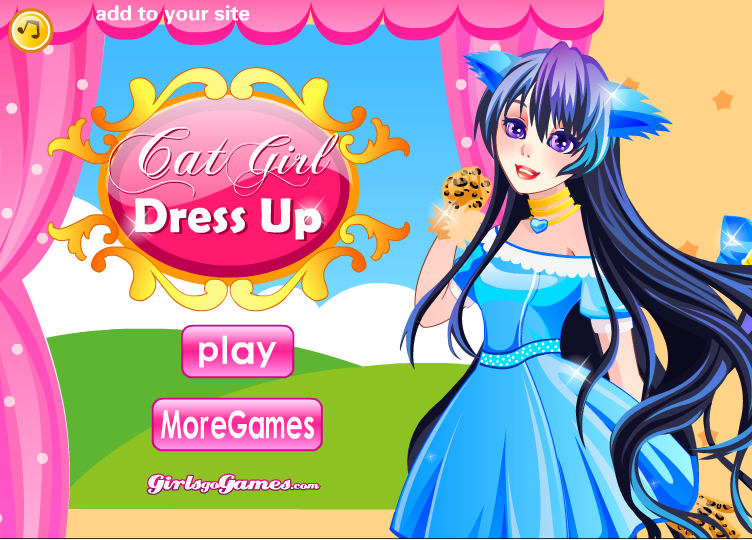 You will get a great cat girl outfit, do you like it? Played: 34830. Added: 23-11-2013, 01:05. Choose a dress for girl.